Will Mongolia Ever Escape the Shadow of Its Soviet Past? 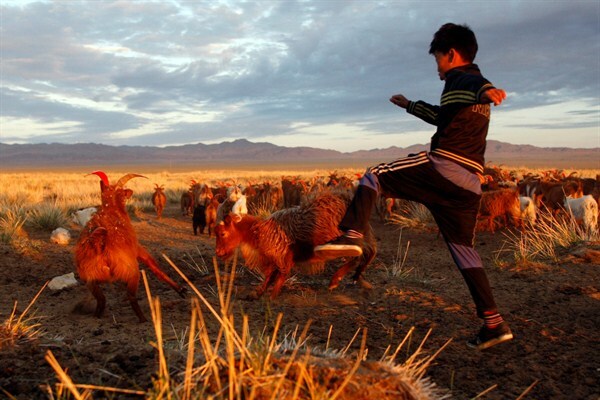 A young boy watches over his goats in Khovd province, Mongolia, June 14, 2011 (AP photo by Petr David Josek). A leading pollster called it “the worst election in Mongolian history.” Last June, Mongolian voters went to the polls to choose a new president, though many of them were likely just looking forward to getting the process over with. During several weeks of campaigning, the three candidates had deployed appalling smear tactics, accusing each other of money laundering and graft based on scant evidence. On voting day, only 60.9 percent of the electorate turned out in a country that was once accustomed to over 90 percent participation. Almost 100,000 voters, or slightly more than 8 percent of the electorate, submitted blank ballots to protest the poor choices available.